This article is about the statistician. For the American Idol contestant, see James Durbin (singer). 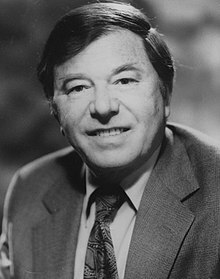 James Durbin FBA (30 June 1923 – 23 June 2012) was a British statistician and econometrician, known particularly for his work on time series analysis and serial correlation. The son of a greengrocer, Durbin was born in Widnes, where he attended the Wade Deacon Grammar School. He studied mathematics at St John's College, Cambridge where his contemporaries included David Cox and Denis Sargan. After wartime service in the Army Operational Research Group, he worked as a statistician for two years with the British Boot, Shoe and Allied Trades Research Association and took a postgraduate diploma in mathematical statistics at Cambridge, supervised by Henry Daniels. After two years at the department of applied economics in Cambridge, Durbin joined the London School of Economics in 1950 and was appointed professor of statistics in 1961, a post he held until his retirement in 1988. His last book, Time Series Analysis by State Space Methods, was published by Oxford University Press in May 2012. His last books were co-authored by Siem Jan Koopman of VU University Amsterdam. He died on 23 June 2012. ^ John Grant (1970). Who's who of British scientists. Longman. ISBN 978-0-582-11464-7. Retrieved 27 June 2012. ^ Durbin, J.; Watson, G. S. (1950). "Testing for Serial Correlation in Least Squares Regression: I". Biometrika. Biometrika Trust. 37 (3–4): 409–428. doi:10.2307/2332391. JSTOR 2332391. PMID 14801065. ^ "Statistics in the University of London : Prof. James Durbin". Nature. 191 (4795): 1247. 1961. doi:10.1038/1911247b0. ^ Phillips, P. C. B. (2010). "The ET Interview: Professor James Durbin". Econometric Theory. 4: 125. doi:10.1017/S0266466600011907. ^ Harvey, A.C.; Koopman, S.J. ; Shephard, N., eds. (2004). "Preface: About Professor James Durbin". State Space and Unobserved Component Models: Theory and Applications (Proceedings of a conference in honour of James Durbin). Cambridge University Press. p. xii. doi:10.2277/052183595X. ISBN 978-0-521-83595-4. ^ "LSE — Statistics — News". Retrieved 2008-02-28. ^ Durbin, J. (2012). Time Series Analysis by State Space Methods. Oxford Statistical Science Series. Oxford University Press. ISBN 0-19-964117-X. ^ "Jim Durbin". University College London. 26 June 2012. ^ "Renowned statistician and former RSS President, Professor James Durbin, dies". RSSeNews. Royal Statistical Society. 26 June 2012. Archived from the original on 30 June 2012. Retrieved 2 July 2012.